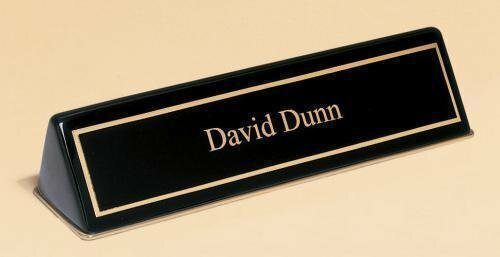 Available in both Black or Clear Acrylic, these desk wedge name plates have a more modern look to go with modern office decor. 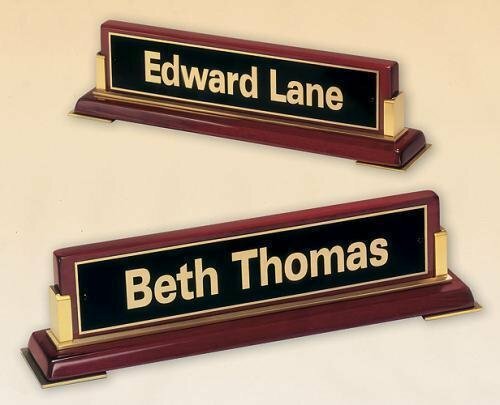 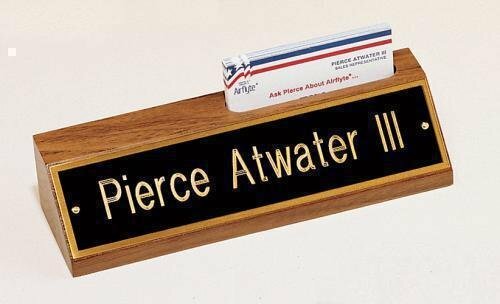 Available in two sizes and each Acrylic desk wedge name plate is individually boxed. 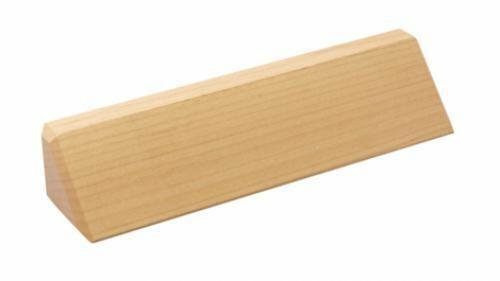 Made from genuine walnut, these desk wedges are available in two sizes. 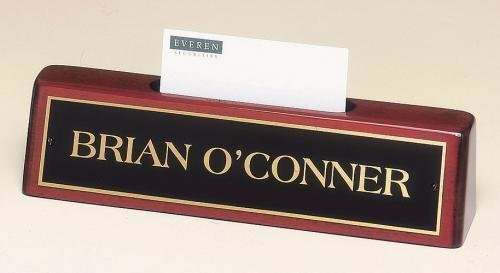 The larger 10" size also comes in an optional business card holder built into the desk wedge name plate. 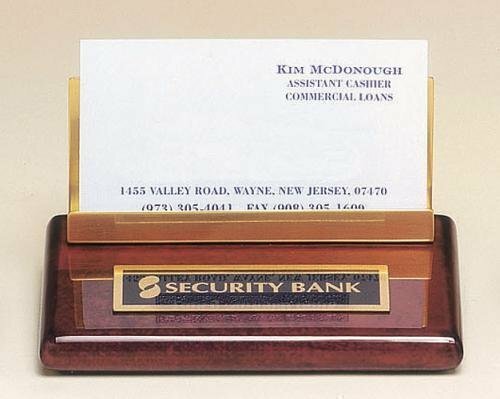 Engraving plate is black lasered to gold writing with a gold border. 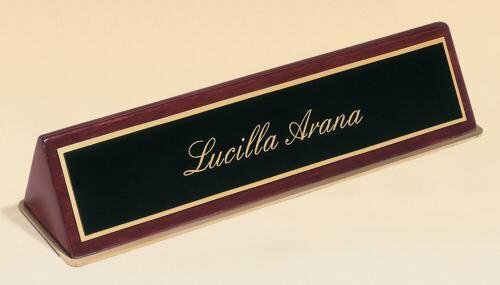 Each desk wedge comes individually boxed.